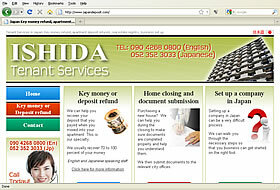 Company providing assistance with key money and apartment deposit refunds in Japan. My site was made quickly and affordably. Jeremy answered all my questions and gave me excellent advice for my site. I would use this service again and recommend it to my friends. Thanks a lot for making the process simple and easy.